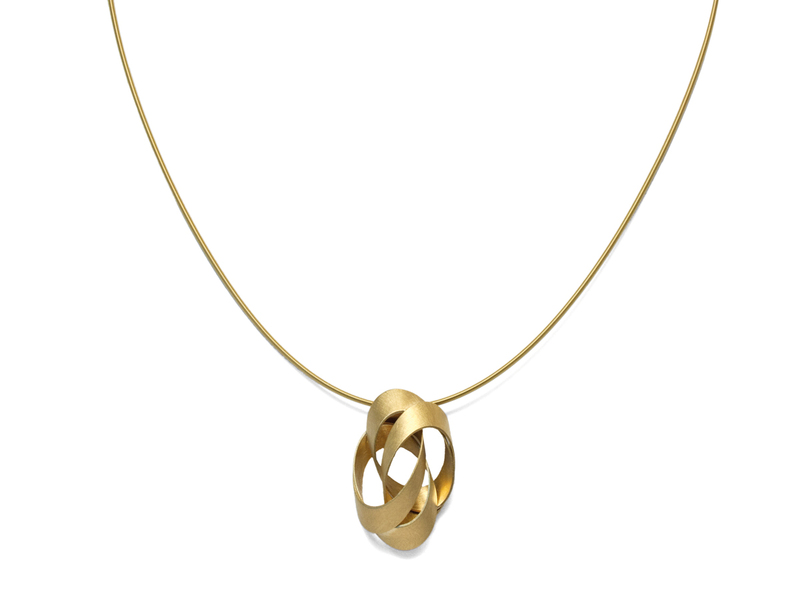 the ever constant path of a celestial body around the sun. 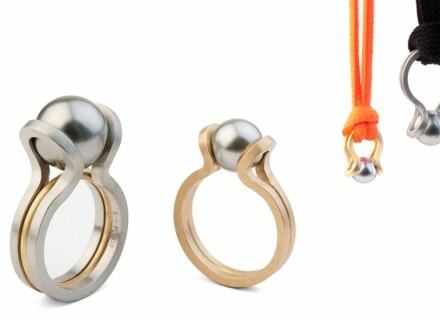 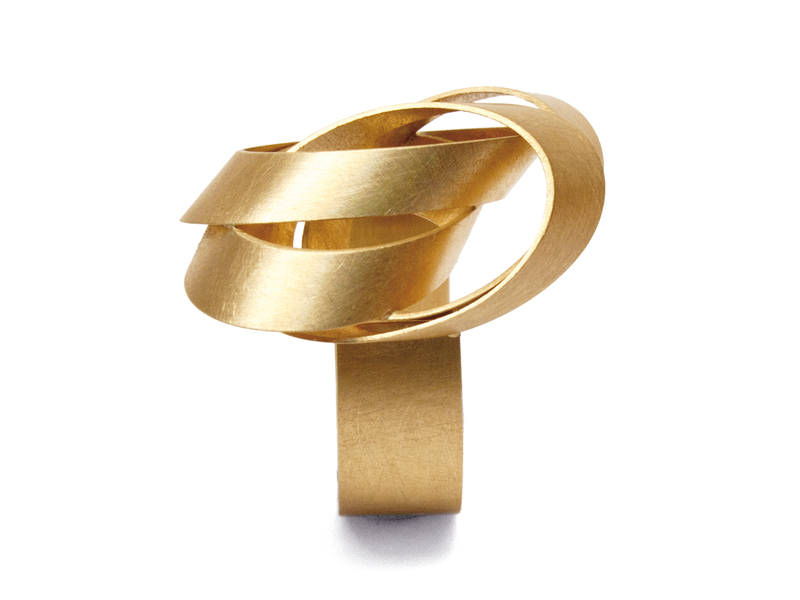 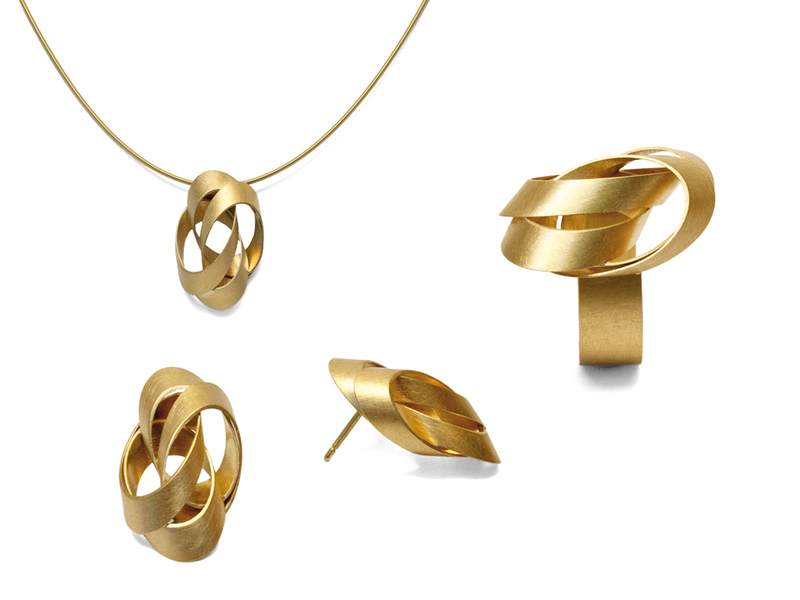 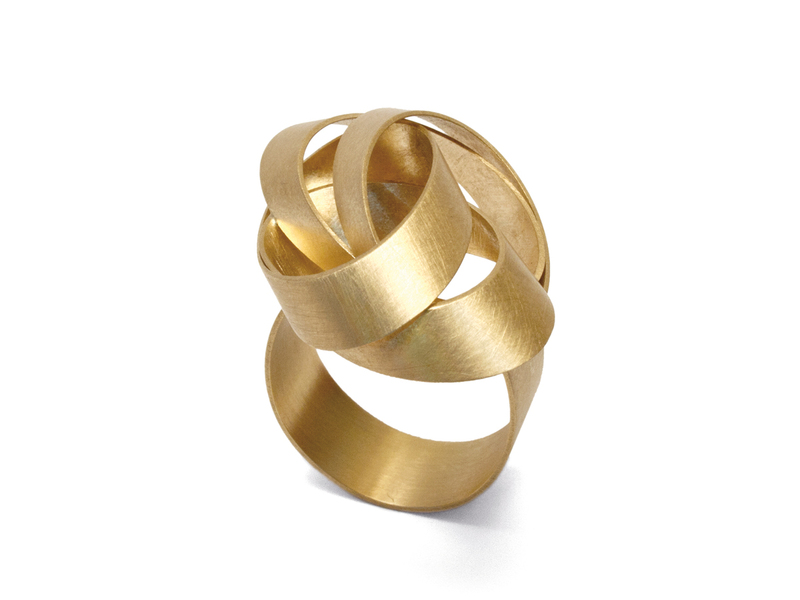 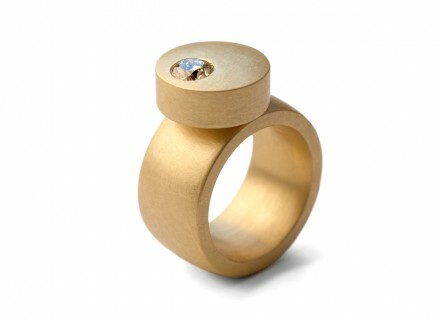 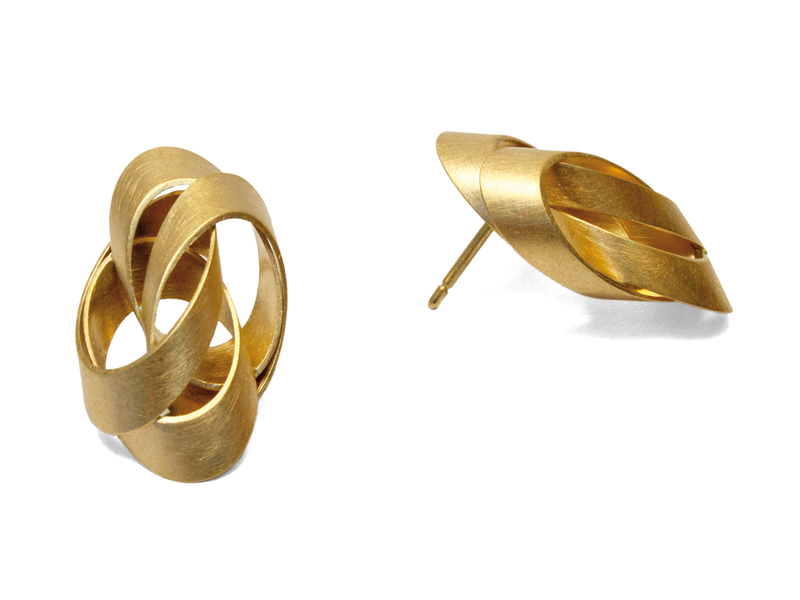 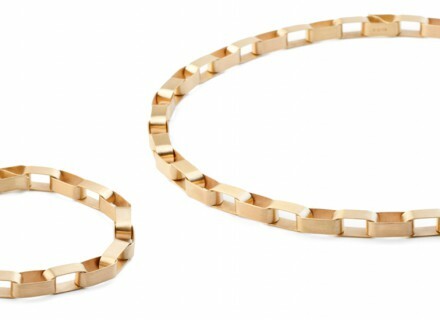 The “orbit” collection unites three or four ellips­ es, or orbits, to produce a spatial piece of jewelry. 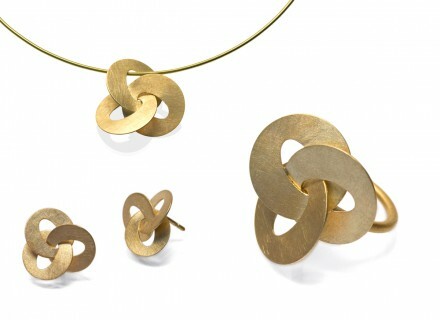 Instantaneously a complex form is created, the origin of which is a simple circle.